Debt is always seen as a trap which looks like a good prospect with only one way in and no way out. But this is a very traditional thinking which does not hold any weight in present times. The truth is that a well timed and appropriate debt product can help you take your small business to another level. These days customised quick business loans are available specifically for infrastructure additions, inventory maintenance, working capital infusion etc. 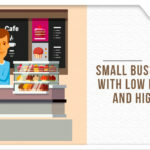 These small business loans are designed keeping in view the needs of the borrower and nature of their requirement. In this section, we will give you three solid reasons as to why debt can prove to be a useful ally for your business. Investment in plant, machinery, and equipment. Expansion into new markets or adding new clients. In all the above cases, one can opt for small business loans, thereby easing the pressure on free cash flow, which can be continued to be used for regular operations. Also, in cases where an SME is suffering from a cash shortage, a working capital loan can help in bridging the cash crunch thereby allowing it to carry on operations as usual. For large scale expansion like setting up a new manufacturing facility, exploring new markets or investment in new equipment, retained earnings and cash flows may prove to be insufficient. Besides, it is not wise to empty out coffers completely as they are a cushion for your business. When in need of funds for expansion, a business usually is left with only two choices- raising equity or taking debt. The former option tends to dilute the ownership which is not a desirable option for most of the closely held SMEs. In all such cases, it makes sense to avail a working capital loan. Many businesses have seasonal/cyclical nature, particularly the ones that are dependent on agricultural produce or festivals. During such times, small and medium enterprises operate on-demand basis, which means a sudden requirement of funds and cash outflow. Such peaks and onslaught of demand can be handled very well with quick business loans. These loans help in servicing big orders and meeting regular business expenses until the revenue is realized. A well-planned debt, especially collateral free loans, can prove to be a vital strategic partner not only for the revival of cash crunched establishment but also for an SME which is on a high growth curve. Further interest paid on debt is fully deductible as a business expense, which brings invaluable tax savings. Online financing partners such as FlexiLoans.com offer fast, flexible and paperless collateral free loans for SMEs.